At the office and private place, I don't like to call. Human-like conversation is the option we have. 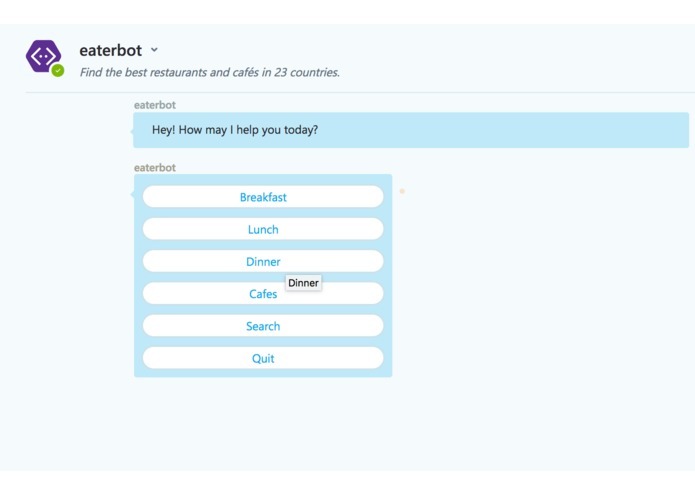 We have chatbots So I thought it would be fun to build a bot for restaurants. 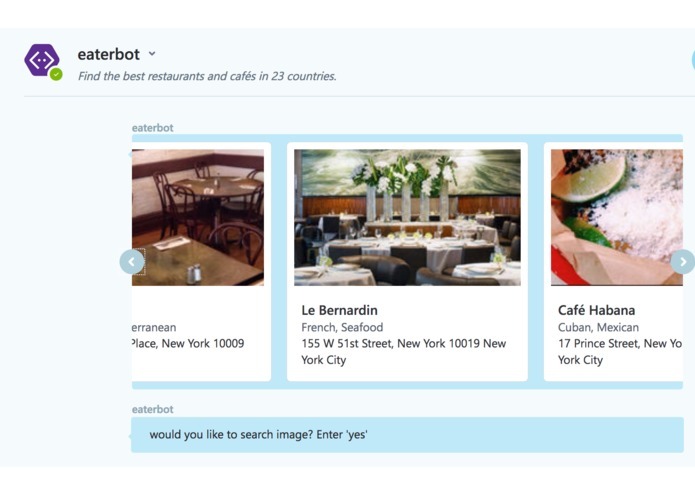 Microsoft Cognitive Services motivated to create a chatbot to search restaurants by an image. 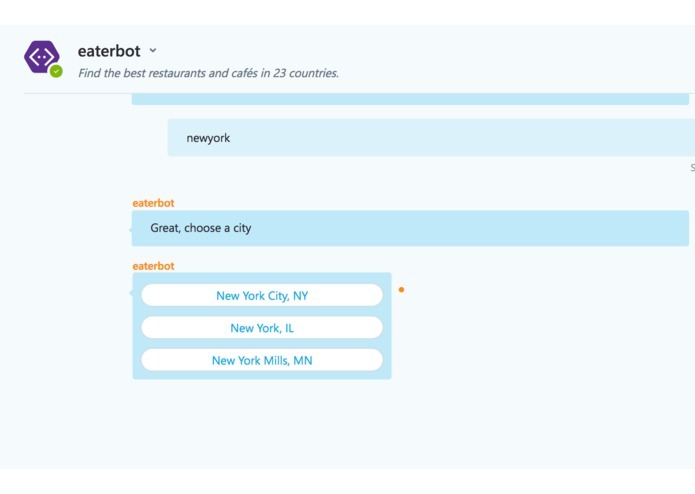 It gives a list of categories like breakfast, lunch, dinner, and cafes then choosing city bot gives suggestion and once the city is selected it throws result of restaurants. 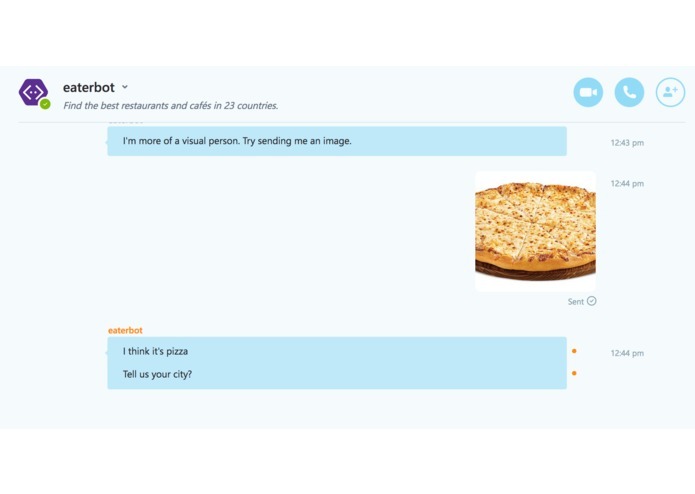 In the same way, restaurants can be found by uploading an image. 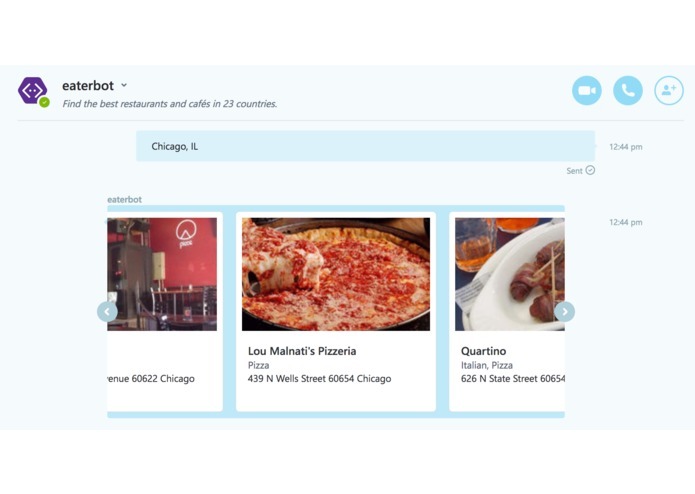 I build the bot using node js, bot framework and Microsoft Vision API, LUIS API and Zomato API for restaurant data. I was the only team member was a challenge and selecting the best tag for an image was also a challenging part. I am happy that in 2 days I build a bot from scratch. I learned how to organize and pass the dialog in a complicated way.